When Neil Armstrong said, 'One small step for man, one giant leap for mankind', I wonder if he knew how much impact that statement would have on people? No. Probably not. At the time, he most probably had a lot on with space and the final frontier... which reminds me! 1) What are your own origins, Rod? Plus what path did you take in life prior to getting to where you are today? My origin story is nothing particularly fascinating. I was born and raised in Little Rock, Arkansas, then attended college at the University of Memphis. After graduating with a Bachelors Degree in Business, I next worked in the customer service and account management departments of various Memphis area businesses, for over 20 years. Then, in 2013, I decided to pursue opportunities working for myself. I did a lot of soul-searching, and determined to create a web site based on one of my lifelong passions -- science fiction and genre entertainment. 2) What inspired you to form ‘The 7th Matrix’? And why give your site this name? I've loved science fiction and genre entertainment all my life. One of my favorite pastimes is discovering a genre book, tv show, or movie, then sharing them with my friends. In late 2012, I discovered a sci-fi web series (sorry, I don't remember it's name) and sent it to an associate of mine. He said, "Rod, you should start a web site where you present all of the content you discover". I thought it was a great idea, and that was what inspired my site. I wanted to give my site a name that would stand out, yet instantly be recognizable as referring to sci-fi. I greatly admire the site 'io9' and think their moniker is very unique. And so, I combined the name of my all-time favorite sci-fi film, 'The Matrix', with my favorite number, seven, and "Ta-da!" 'The 7th Matrix' was born! 3) Can you give us a brief run down on what's in your book / site? On my site you will find reviews of over 100 (and counting!) sci-fi and genre web series. There is also a listing of dozens of sci-fi short films. My book, on the other hand, is a compilation of 200 of the best online sci-fi and genre shorts I've discovered in over two years of content curation. 4) What song would you say best represents your passion for sci-fi? Wow! That is a tough question! I would have to say any film score by the conductor John Williams. His themes are instantly recognizable and so majestic. When you hear one of his scores, you are instantly transported to another world. It's the feeling of escapism his scores invoke that best represents my passion for sci-fi. 5) If you could get a celebrity – either living or dead – to promote your wares, who would you choose, and why would you want to choose this particular person? Oh! This is an easy one! Nichelle Nichols hands down. 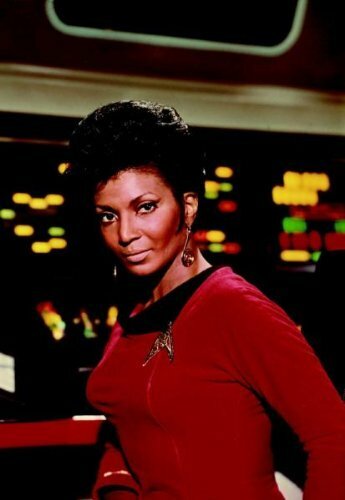 It was seeing her iconic portrayal of Lt. Uhura on the original Star Trek TV series as a child that helped ignite my love of sci-fi. I met her briefly many years ago at a small comic con in Memphis. She was so lovely and gracious. A real class act. 6) What have you learnt about yourself through this endeavour? I've learned I'm much more geekier than I thought I was! My love of science fiction has only deepened since I began 'The 7th Matrix', and I'm having the time of my life running it! 7) During your time in this field, what is the one thing that has kept you in good stead? The communities of fellow geeks, nerds, and sci-fi fans are an endless source of encouragement, support, and inspiration for me. We truly are legion! 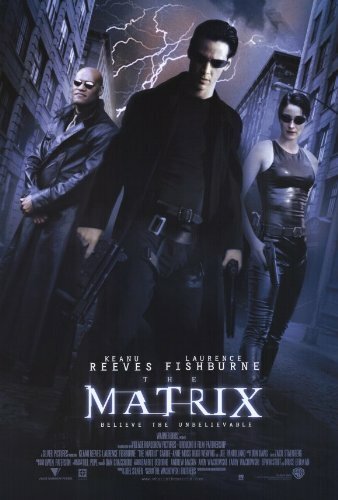 8) If ‘The 7th Matrix’ had a motto, what would it be? Actually, my site does have a motto! It is "The 7th Matrix. Your portal to worlds fantastic". That pretty much sums up the feeling of escapism you will feel visiting my site and exploring all of the truly sensational science fiction just waiting to be discovered on the web. Well, you heard the man. So what are you waiting for? Please visit his website today. And when you do, don't forget to also follow him on twitter, facebook, and G+. Nannoo-Nannoo!! !